Agents are the gatekeepers to publishing. They deflect thousands of manuscripts a year (cue space shields: Pew! Pew! Pew!). But they don’t have to be. Plenty of picture book authors have gotten published without one. So why do I continue shooting my manuscripts at the agent cyberspace shield? An agent will get your manuscript considered by the right editors. Successful agents work at maintaining personal relationships with editors. These personal relationships give them access to editor preferences and tastes, what’s selling and what’s not, wish lists and more. However, having that relationship with the editor goes beyond being able to tailor submissions. Just as in our own lives, editors are more likely to consider recommendations from trusted associates. In fact, fewer and fewer publishing houses are open to unagented submissions. Agents have expertise in negotiating book deals, contracts and the industry in general. Agents know standard advances and royalty rates as well as other technical publishing stuff like foreign, digital, film and audio rights (my eyes are glazing, glazing, glazing and…their crossed). In addition, if a manuscript gets stalled somewhere in the process between acquisitions and printing – agents have the know-how and know-who (at least more so than this writer) to potentially help un-stall it. Agents act as the buffer between authors and publishers. Agents handle tension-filled issues like business and money so we can maintain our fluffy cloud relationships with editors. Agents have book smarts (in a useful way). It’s an agent’s job to know books and the book market. Some are editorial and help you revise, tweak and polish your manuscript until it shines. Others are more business-savvy and can help you market yourself and your book. Either way, they are a wealth of information on books and can help advance your authoring career. Agents serve as gatekeepers – gatekeepers who have their own tastes and preferences. By going the agent route, you’ll need to find an agent who loves your manuscript (and most likely your body of work). That agent will need to find an editor who loves your manuscript. If you submit direct, that’s one less roadblock to getting your manuscript published. The agent-writer relationship is a long-term commitment. Bad news commitment-phobes, but it’s true. You want an agent who will guide your writing career. Someone who does not work the way you expect can increase your anxiety and frustration. Even worse, a bad agent may be worse than no agent at all because they can damage your morale and potentially your chances of getting published. Some publishers are open to unagented authors. While many of the big publishing houses are closed, there are quite a few reputable houses still open to unagented submissions. In fact, I was very surprised by the number of open houses I found. Check them out! · and many, many more. However, there is no guarantee your submission or query will be read. Your submission will become part of the infamous Slush Pile. Most houses (like agents) only respond if interested. Also to beware: some publishing houses do not accept simultaneous submissions. This means your manuscript could be off the market until a publisher responds or does not respond to you (not very fair, is it?). You too may submit to closed houses. In special cases, you may submit to normally closed houses. You may do so by attending conferences, submitting during special (rare) submission windows and also being a member of specific writer groups. These submissions do not guarantee a response. You can negotiate your own contract. Say you land your own book deal (you industrious writer, you). Resources are available to help you wade through the legalese. SCBWI offers The ESSENTIAL GUIDE to PUBLISHING for CHILDREN available for sale or free download (https://www.scbwi.org/online-resources/the-book/ ) which includes FAQS on contracts. The Authors Guild (http://www.authorsguild.org/) and the Literary Market Place (http://www.literarymarketplace.com/) can recommend literary lawyers, who will help you negotiate your own contract and save you from paying from agency commission. No agent? No agency commission. Enough said. There you have it: considerations when choosing agent or publisher. If you have any additions, please feel free to chime in below. I’m still in the agent camp. For me, the benefits outweigh the negatives. What about you? Margaret Greanias is a picture book writer who lives in the San Francisco Bay Area. 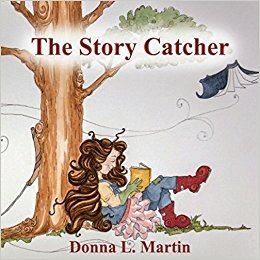 She writes picture books and is currently brewing up a batch of middle grade ideas. You can connect with her on Twitter @ https://twitter.com/MargaretGreania.